Home › Lexol 1115 Auto Interior Leather Deep Cleaner 16.9 Oz 16.9 Oz. Lexol 1115 Auto Interior Leather Deep Cleaner 16.9 Oz 16.9 Oz. Size: 16.9 oz. Lexol Leather pH Cleaner Spray seep-cleans dirt, oil and leftover perspirationsalts that build up and destroy leather interiors. 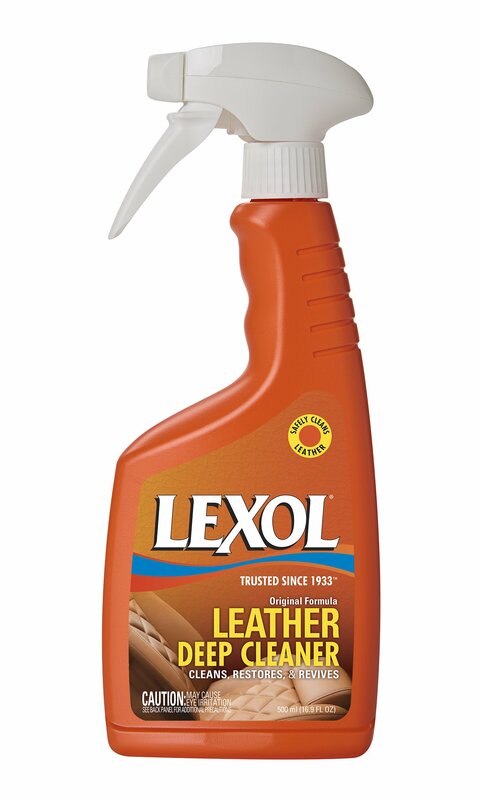 Lexol Cleaner is adjustedto the pH of leather, so it will not harm the finish or fibers of the leather.It rinses easily and quickly with water, leaving no residue or dulling film.Apply with either a damp Lexol Applicator Sponge or a damp soft cloth to workup a foam that lifts out the dirt. Rinse thoroughly with another clean, wetsponge or cloth. Once all traces of cleaner have been rinsed off, pat dry witha soft, 100% cotton towel. To keep your interior in top condition, clean theleather about twice a year and immediately follow with Lexol Conditioner. Donot use on suede.